As a new owner of a fine '04 HD , curious why these bikes have only 9k mi. 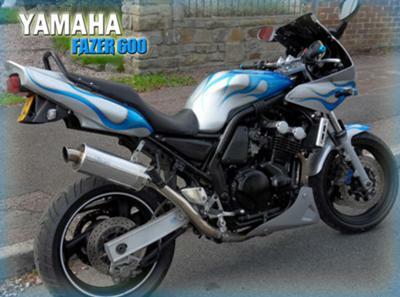 and comparables online also do.Do riders buy these bikes , then garage them for years? Return to Ask (or answer) a Question CLOSED. I have a 1999 honda shadow ace 1100. My rear fender keeps shifting to the left so my whole hand fits between the left side fender and tire and just my finger tips on the right side. it scrapes the tire in one spot on right side. what can I do to keep it aligned? I want to know the pros and cons of letting a 2002 Harley Davidson Road King sit around without riding it for over 3 years. What will the value be if it isn't taken care of? Got a 1986 savage 650...it runs great!! The prob is it has a hard start. Hoping it just needs the carburetor cleaned. Anyone run into this same thing? My vintage two-stroke Yamaha idled really fast then died, now it won't start. I have tried adjusting the idle screw in both directions, and even tried all the way in and all the way out, but with no joy - it just doesn't want to start. Yesterday I had it running OK, a little rough, but still OK.
A mechanic is out of the question since I don't have any way to get it to a mechanic and don't live close enough to push it. Any suggestions on how to get it running again? The passenger floorboards of my 2010 yamaha royal star venture get in the way of the driver's feet during starts and stops. How can I raise the passenger floorboards? Has anyone else experienced this? How many women started on an 883? I took the safety course and have my license but no street riding experience. I would prefer to practice on a smaller bike but I don't really have one available. I got an 883 at a price I couldn't pass up but I'm intimidated by it. I'm curious how many women started on an 883? I have a Honda Shadow 600. It is a beautful bike but I need something with a lot more power and a LOW seat height. I am short. Help!!! I am having such trouble finding the perfct bike. I need to charge the battery on my suzuki savage but the only thing i can figure out is to remove the seat. from there, i am totally lost. where are the + and - to put the charger on? I need some help in selecting my first bike! I grew up riding, but haven't now for several years. I'm taking my BRC course in April, and hope to have a bike sometime in May. I want a street bike- specifically a Ninja. My thought was that I would grow out of a 250 pretty quickly, so I was thinking of getting a 650. Now I'm very nervous that the 650 is way too much bike. Any advice or ideas on a different bike to get? I HAVE A 2006 GSXR 1000.. COULD MY STARTER BE THE PROBLEM IF WHEN IM AT 70MPH AND I GAS IT TO GO FAST THE WHOLE BIKE SHUTS OFF BUT MY HEADLIGHTS AND GAUGES WORK JUST THE BIKE LOSES POWER AND I HAVE TOO PULL OFF THE ROAD AND HIT MY KILL SWITCH WAIT FOR A FEW SECONDS AND THEN IT STARTS RIGHT BACK UP. I have a 06 yamaha v star 650. It has sat for about a year. Before it sat, i had the carb re done and it worked just fine. I bought a new battery, plugs, and drained the gas and put new gas in it. It cranks but wont turn on. What else can i do before i have to take it in and get over charged for something i might be able to do myself? my 07 Dyna has the security system on it. When I turn on the key all I get is flashing lights. The buttonless key fob on the key ring in the ignition. How do I get it to start? I have a honda shadow vt1100c and it jerks rapidly when I accelerate in 3rd and 4th gear, I am at lost. I have always had inline 4cyl bikes and don't know if this is normal.It will only jerk rapidly (like your rear tire is breaking traction) when I accelerate. Any help would be appreciated. I dont know which bike to go with for my first bike. I think the 600 looks better but i guess the more important thing is which would make more sense for my height and weight. I have had my dads harley for five years now, its in great condition and just needs a battery and it will start right up. I dont know to much about bikes but if i were to sell it what would the value be worth today? I would like to change the seat on my bike and would like to try to do it myself. Can someone tell me what to do .... like I'm a 6 year old. Any suggested videos, etc. Thank you in advance for you help. Will a xl 125cc. motor fit into a xl 185 honda bike.Also what other motors would fit.Thank you. I have a 2005 Yamaha VStar classic 650. Just this season, it will start fine, but when I ride, it doesn't seems to accelerate evenly and then loses acceleration altogether and cuts out. After about 10-15 minutes it starts up again but repeats the same pattern. I'm thinking it's a bad fuel filter but someone else thinks the coil may have burned up. help! If the motorcycle has a cyclinder that floods to the point of fouling the plug, can some of the gas seep down into the oil? What bike is best for my travel needs? I am considering getting a bike, I am a new user and trying to get as much information before purchasing something that's completly wrong for me. I am 5 ft tall 110lbs and I want a bike that will take me back and forth from Los Angeles to Bakersfield Ca. There are mountains and in Gorman and Frazier Park there are high winds. I'm aware that for my height i should look for a bike with a 26'' seat. I will take the learningn course before purchasing however i find it intimidating not knowing if they provide a bike or must I have my own bike? of course im looking for best gas miallage for the 130 mile drive.